The research area neurocybernetics is a recent activity of the IKW. It is headed by Prof. Dr. Frank Pasemann. The research departs from the fields of evolutionary robotics, artificial life, embodied cognition and emphasizes theoretical aspects from neurodynamics and complex adaptive systems. Hypotheses are given a testbed in physical simulation of robots and are further concretized through bio-inspired constructions like, for instance, walking machines and humanoids . Our premise for neurocybernetics is that nervous systems of animals and animats fundamentally conduce to control their behavior in a live sustaining way. This view follows arguments along the line of classical cybernetics which was mainly based on systems theory, mathematical logic and information theory (Shannon, Wiener, Rosenblatt, Ashby, Walter, Pask, von Foerster). In extension to this approach, concepts and methods applied today come from fields like Neural Computation, Dynamical Systems Theory, Complex Adaptive Systems Theory, Evolutionary Robotics and Artificial Life. It is assumed that those abilities necessary for survival, particularly the cognitive ones, are based on the dynamical properties of the underlying biological or artificial neural substrate. We therefore follow the dynamical systems approach to cognition (Thelen, Smith, Kelso, Beer). For demonstrations time-discrete dynamics of recurrent neural networks is used to control the behavior of autonomous robots. As non-linear systems these controllers can not be constructed; therefore evolutionary methods are used to generate appropriate neural controllers. The group employs and develops tools for evolutionary robotics and control, like the Open Robot Simulation and Control Library ORCS and the ISEE environment. One of the goals of neurocybernetics is to achieve comprehension of the fundamental principles and mechanisms underlying behavior relevant neurodynamics. It is believed that the persisting difficulties to set up a reasonable theory of neural processing is not only due to their technical nature but mainly because powerful abstractions and an understanding of guiding principles are still missing. The fact that all cognitive systems act in a sensory-motor loop, that they grow and learn while interacting with their physical environments, i.e. the viewpoint that embodiment and situatedness are the constitutive boundary conditions for cognitive processes, leads to an artificial life approach to evolutionary robotics. In this sense all emerging neural control processes, which are assumed to be at the very core of cognition, have an intrinsic goal, namely to self-sustain the acting system, be it biological or artificial. 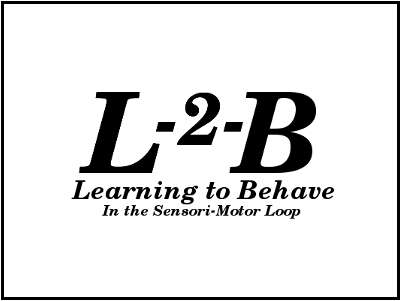 On this background the group tries - by means of a modular neurodynamics - to discover basic principles of behavior relevant to neural processing. Modularity as a source of complexity implies the problem of hierarchical structures as well as issues concerning the relation between the whole system and its locally interacting parts. For specific functions of behavior control, technology and biology often use different but cybernetically equivalent processes. Construction, experimentation and analysis of embodied systems should yield identification of the common laws behind these processes, advancing understanding for both fields. This is the spirit behind e.g. 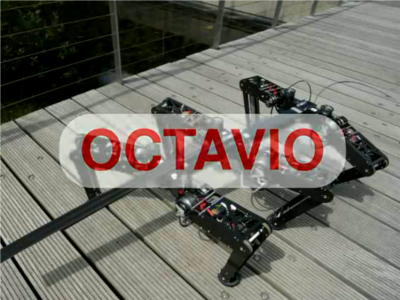 the Octavio project, where a bi-directional tranfer of data and concepts from biology (neurobiology and bio-mechanics of the stick insect) and robotics (multi-legged walking machines and evolved neural control) contributes to the systematic study of adaptive and multi-functional locomotion.